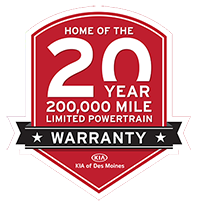 We invite you to browse our Kia specials in Des Moines, IA today. You never know, you might find the perfect Kia Optima or Cadenza for a fantastic price. We offer specials because we think the Kia brand is spectacular, so we want to make it even more affordable for drivers near Johnston, IA. Whether you're looking to finance or lease a new Kia vehicle from our dealership near Ankeny, IA, we are here for you. We invite you to check out our new Kia inventory and even test drive a couple of our models before buying. When you get a hands-on feel a vehicle, it's easier to see if it belongs in your driveway. We also recommend choosing our Kia service department for automotive repair and upkeep after your purchase. Let us help you get the most out of your special pricing! Swing by our dealership today.